Most of us are familiar with the graphic charting the progress of man,from ape to modernity (with variances on the present-day interpretation ranging from obese man to stressed office worker) but who would have predicted the rapidity of man’s digital evolution. With access to more and more articles documenting our digital history with trivia such as a 6 year old and a 45 year old having equivalent knowledge for operating a digital device, as well as the fact we are spending more time on them than sleeping, it is no secret how our societies are constantly being shaped by such data. From the moment we wake up, we reach for our portable device, which stays by our side like a trusty sidekick in our quest to keep plugged into the world on a wireless link. We are divided, sometimes even excluded by our acceptance and understanding of this technology, technology that has redefined how we live. Humans born now, in geographically more affluent areas, will have no functional memory of a telephone with wire and no touch screen, of computer monitors as heavy as a small child and educational tools on clunky pieces of plastic that served one purpose only (with no online support option). This digital evolution only took place in the last 40 years so it’s no wonder that many (usually more senior) age groups are still struggling to adapt to it, let alone be receptive to it. But this is why we must integrate with these portals of our past, present and future, that ultimately serve as a digital immortality, something once confined to print and story-telling that can now be referred to on a timeline. In my own particular situation, it is because of digital technology that my relationships with distant friends and family are richer and have added depth due to the ability to instantly access their lives with visual and written communication, even though physical presence cannot always connect. 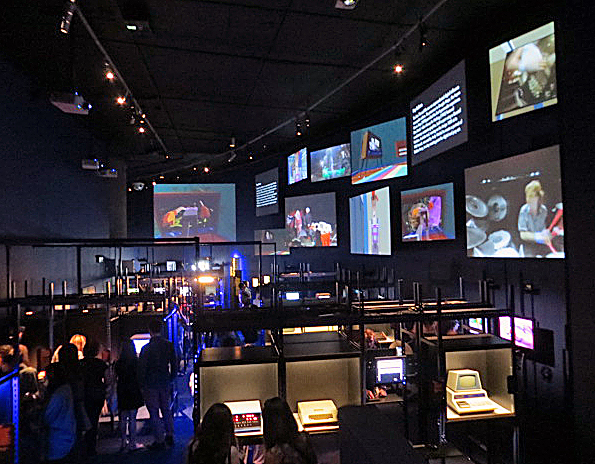 These thoughts are what let to my curiosity to attend a very modern exhibition of our Digital Revolution at the Barbican Centre, a venue that continues to stimulate my cultural lobe with its dynamic and innovative offerings. Tickets were dutifully booked ‘online’ and my senses tantalised further by various YouTube clips and trending reviews. The weekend of attendance coincided with a convention of another major online entity, the online archive that is Wikipedia. Passing through almost cliché groups of technically adept attendees added the appropriate frame on entering the exhibition, which hits you with the past through a ‘Digital Archaeology’ introduction. 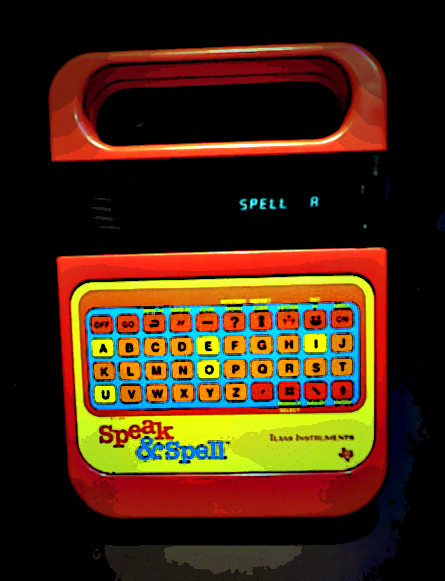 As we walked through what is already a museum of the future, I stumbled upon relics from my childhood, excitedly pointing out a Speak & Spell toy and perusing the arcade games of yore (haunted by the repetitive and addictive music of Super Mario Bros). The incredible leap in improvisation of this hardware is mapped towards the end of this particular exhibit, within the ‘Sound and Vision’ section which contained an excellent example courtesy of a digital goddess of music (Bjork), with her Biophilia App that allows users to explore the relationship between musical structure and natural phenomena, allowing you to learn more about both through exceptional three dimensional visuals (it’s no wonder that this software is now looking to be integrated within the curricula of European schools). Nature is further emulated through digital with telephone line activated birds, trilling and flapping when the line connects. 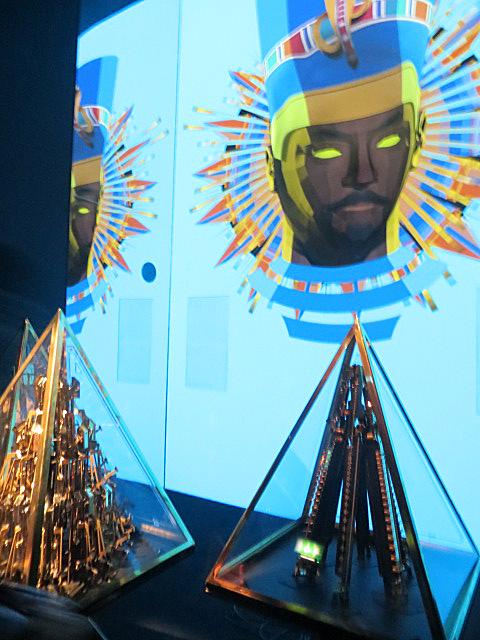 The exhibition leads you onto further interactive experiences with a digitised singing concave of will.i.am, whose eyes follow you around the room wherever you are. The next room, labelled ‘State of Play’,was both an exploration of our interaction with technology as well as a personal insight of the animated human behaviour generated by it. The first part was a beautifully crafted interactive artwork called ‘Mirror No.10’ by New York based artist Daniel Rozin, where hatched coloured lines mirror the movements of the viewer. This piece instinctively drew participants that spotted their digitized presence on screen, instigating animated behaviour through facial expression and movement, testing the artwork and how it displayed our digital self. With software like this we are only encouraged further to feed the curiosity we have about our species. 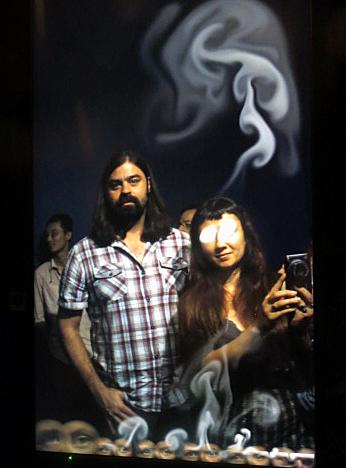 A similar theme followed with an installation by Rafael Lozano named ‘The Year’s Midnight’ requiring more audience participation to track your eyes which when positioned correctly emit smoke plumes, twisting elegant curls from your eye sockets that collect as you pass by at the bottom of the screen. Some bystanders could not initiate interaction; some could not get enough of it, actively standing by to position their heads into the background of the next batch of projected selves. What fascinated me most in this instance were the attention spans and considerable lack of patience in many circumstances (the inconvenience of having to queue for the next installation, a slower reaction to presence on screen with absence of smoke emulation, occasional prompts to ‘move up’ the line from unsettled members of the queue). Due to the speed of life we now live through these digital technologies, we have a remarkable lack of appreciation for offline interaction which not only supports such things but is in fact essential for its growth. This led me to the final piece in the section, ‘The Treachery of Sanctuary’ by Chris Milk which was one of the main reasons I wanted to come to the exhibition. 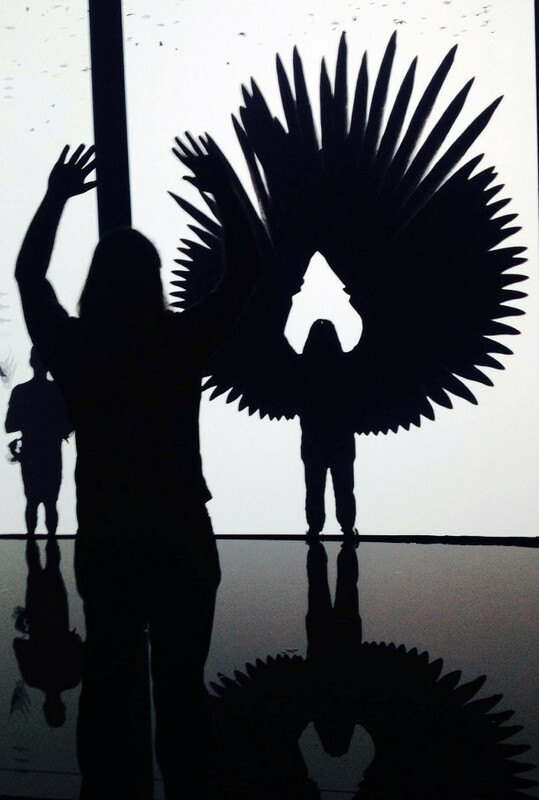 A 3 part interactive set of panels which begins with your projection (utilising your physical proximity to a thin veil of water at the base of the screens to stimulate the interaction) dispersing before your eyes as it breaks up into clouds of flying birds. The second phase sees your body being attacked by more birds, relentlessly stabbing at you with their beaks, breaking up your image into mere fragments. The final panel paints you resplendently in black, as you spread your arms in triumph to display giant wings that have unified victoriously with your body. With the appropriate momentum, you can also achieve levity, enabling you to escape the confines of the installation. Chris Milk says it best in his own statement, explaining the basis of his piece as a three part journey for the universal human experiences of birth, death and regeneration. It was a very spiritual piece, only slightly lessened by some impatient spectators but the excellent staff ensured the full experience was understood and achieved with their knowledgeable explanation prior to participation. 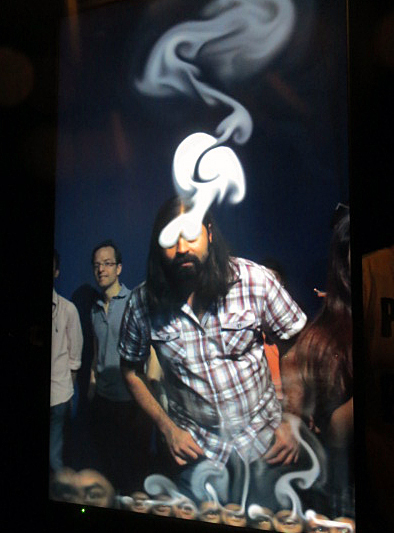 ‘DevArt’ follows on with more interactive artwork such as your whispers projected onto a screen that fuses the words to create animated butterflies that disappear with your secrets, as well as a piano that replaces the tone of each key with the sounds of a global radio station, flashing up the location in a disorienting circle of screens. Other parts such as an Indie Games Space breeds more relational interaction where you can battle with friends on computerised games and gaze into the not-so-distant Digital Future with technology based mini-skirts and solar-intelligent costumery. The final piece of interaction for the day ended with the Umbrellium Assemblance, being led into a darkened room occupied only by three-dimensional lasers with an interactive floor space that participants can manipulate through movement and touch. 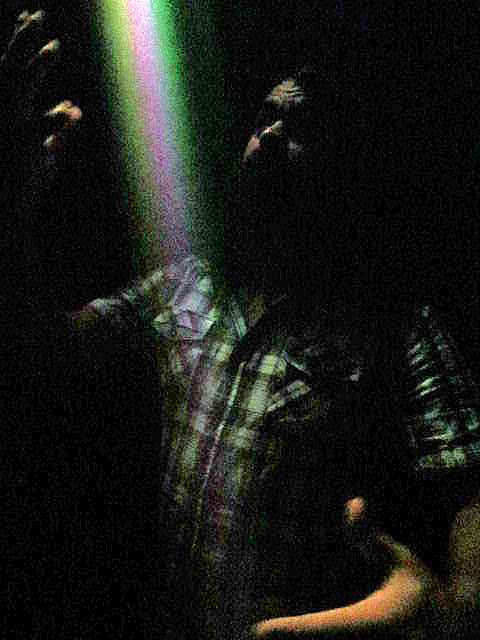 Bouncing our hands off rays of light proved quite playful, stirring a joyful reaction in many due to the variances and unpredictable behaviour of the beams. 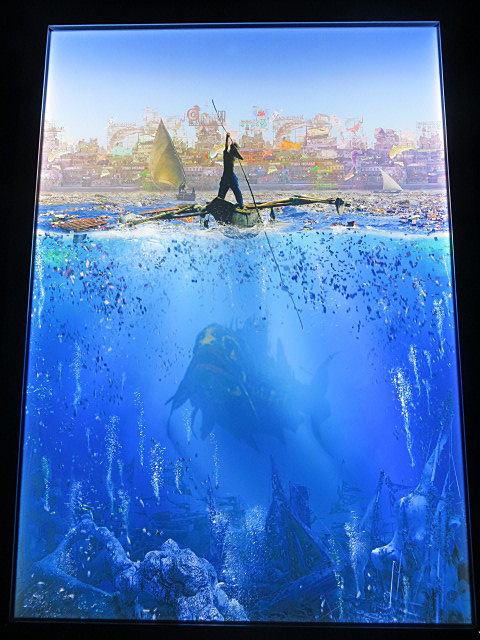 After over two hours spent in the exhibition, time constraints meant a need for departure although there are no general restrictions so you can wile away as much time as you desire. We left with further knowledge of other digital landscapes that we had not yet explored, vast and wild terrain that it is. The key point to remember though, with all of this astounding and highly evolved technology that continues to both abhor and fascinate us on a daily basis, is that the creators are in fact HUMAN. 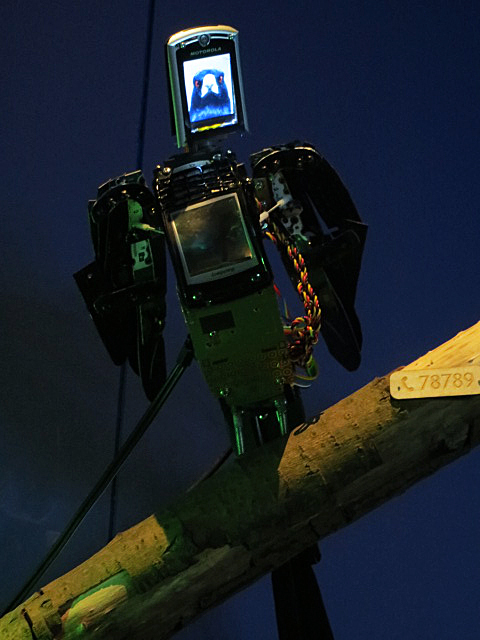 We have initiated the creation of such incredible digital technology through our perpetual curiosity and human needs. So however often we may debate on whether this technology is an infringement of our human rights, join in with conspiracy theorists on privacy arguments or seek more protection of copyright law, nothing can negate the fact that we are actually MORE connected than ever and this technology supports us. So if you are a cynic, take an opportunity to just consider that the universe is simply evolving and this exhibition can at least provide you with a captivating day out that will also educate you on the pleasures that can be had by its digital transformation.